Air Dry is located in Paso Robles, California. 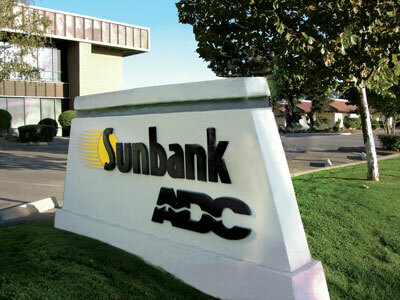 Joslyn Sunbank Company, LLC (dba Air Dry Co. of America), is a California based company whose primary products are air and gas dehydration and purification systems and associated air handling components such as high-pressure air reducing manifolds, dew point monitors, and gauge valves. 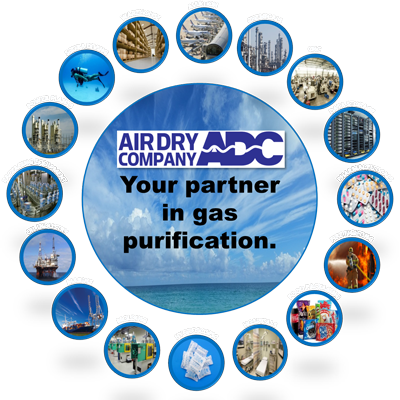 Air Dry is a Total Service Organization serving defense and industry worldwide. Since 1953, Air Dry has been dedicated to the research and development of precision products manufactured to the highest standards of quality assurance. Air Dry furnishes high and low pressure dehydration systems for virtually all the shipbuilding programs of the united states Navy, including the Trident strategic missile submarines, the Los Angeles class attack submarines, the Nimitz class aircraft carriers, the Arleigh Burke class guided missile destroyer, and a Perry class guided missile frigates. Air Dry is located in Paso Robles, California. In addition, Air Dry provides equipment in support of international shipbuilding programs for Spain, Australia, the Republic of China, and Japan. We can design and manufacture specific to your application. INFORMATION / ITEMS SUBJECT TO EXPORT CONTROL LAWS - PLEASE BE ADVISED THAT THE HARDWARE MAY BE SUBJECT TO THE INTERNATIONAL TRAFFIC IN ARMS REGULATION (ITAR) AND EXPORT ADMINISTRATION REGULATIONS (EAR). COMMODITIES MAY BE LISTED ON THE US MUNITIONS LIST AND MAY BE CONTROLLED BY THE US DEPARTMENT OF STATE; DIVERSION CONTRARY TO US LAW IS STRICTLY PROHIBITED. IF THESE PARTS ARE FOR FOREIGN SALE AN EXPORT LICENSE MAY BE REQUIRED. IF YOU WILL BE OBTAINING THE EXPORT LICENSE YOU MUST PROVIDE, IN WRITING, THE LICENSE NUMBER, WHERE LODGED AND THE EXPIRATION DATE OF THE LICENSE.